The new Ventraxion glove reduces wear in the fingernail area of the glove. Following its ban on using leather, equestrian and athletic product manufacturer Uvex has created two new high-tech gloves for horse riders. The German company is using an innovation called Ceraspace, a three-dimensional special ceramic coating which is applied to the stretch material of the outer hand. The synthetic leather used in the palm weighs less than traditional leather while offering excellent grip, the company says. They are light-weight and abrasion-resistant. It follows the company’s decision last year to ban the use of leather in its production of riding gloves. The Fürth-based family business has also introduced a four-way stretch glove, solving the fitting problem of many riders. The Uvex Ventraxion glove stretches into all directions and adapts to the hand like a second skin. Intermediate sizes are a thing of the past, with the glove being produced in only five sizes, yet offering an individual fit for each rider’s hand. The highly elastic material also reduces wear in the fingernail area of the glove. Uvex’s new Ceravent riding glove. “On top of this, the 4D stretch material solves the problem of ventilation, as, thanks to the thin material and the perforation, sweat and moisture simply evaporate instead of accumulating in the glove,” said Simon Sirries, Director Sales Equestrian Sports at Uvex. “Functional materials are becoming more and more important in equestrian sports. Therefore, we are determined to break new ground in the riding gloves area,” Sirries said. The Uvex group is made up of three international companies; the Uvex safety group, Uvex sports group (Uvex sports and Alpina) as well as the Filtral group (Filtral and Primetta). It has 48 subsidiaries in 22 countries, but keeps the key areas of production in Germany, where two-thirds of its 2600 employees work. 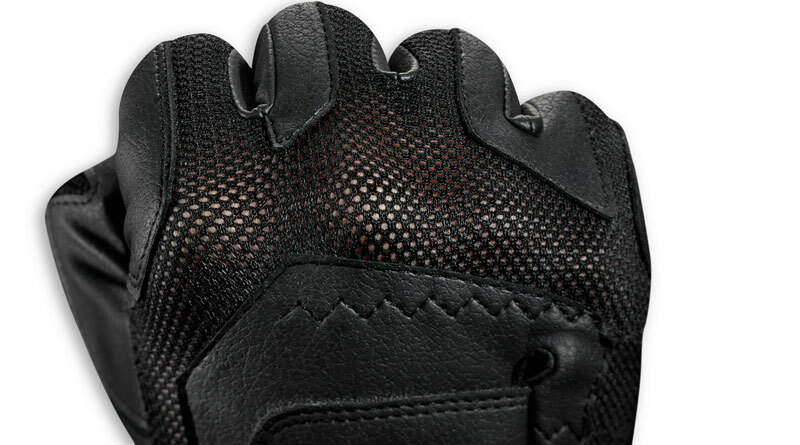 Detail of the new Uvex Ventraxion glove.